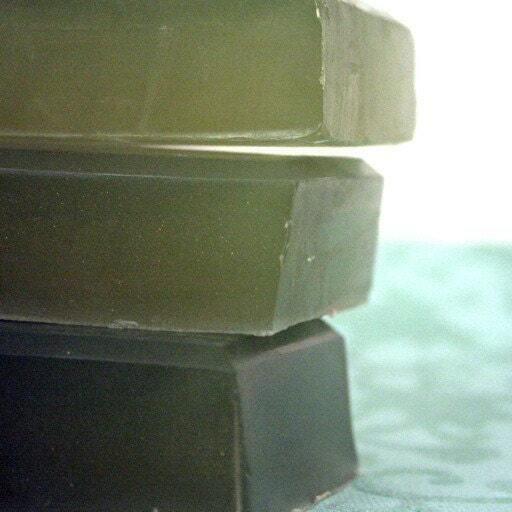 Savor soaps are inspired by culinary masterpieces -- soap confections that tantalize your senses and cradle you in luxury. With a focus on high-quality ingredients, Savor bath treats combine the best of natural elements with surprising and fun twists. Something new and fresh at every glance. Soapmistress Lisa Salamida gave up a moment of her time to talk a bit about herself and her shop. When I moved to California from New York I needed a new hobby (I didn't know anyone here!). I picked up soapmaking, and since I love cooking, it seemed like a natural fit to start basing my soaps on food creations -- sweet and savory and everything in between. I love going out to dinner with friends and family, trying new dishes and having great conversations! The high volume and turn around really keeps us on our toes (both my husband and I run the shop now). Everything from remembering special instructions from customers to ordering enough supplies, the space that the store takes up physically, in our house and mentally, can be overwhelming! We just bought a house with a dedicated soap studio and a separate room just for shipping. It will be a big blessing to our business! Oh oh oh! I would like Mahalo Creme Fraiche! I actually have it in my shower right now and it fills the whole bathroom with a soft, lovely tropical scent. It counteracts all the rain we're having right now. I wanted to be an astronaut. I was a physics major in college until I switched career tracks (to English). But I really wanted to be an astronomer. Those are just such a small representation. There are so many Etsy stores, I have 818 favorite stores! I believe it holds prosperity in every sense of the word. Financial security, love, happiness, and the fullness of a content heart. Experience Savor at Etsy or at savorsoap.com where you can sign up for the newsletter to get the inside word on specials and other news about what is going on with Savor!